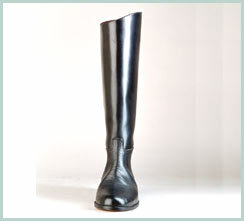 Nick’s English Riding Boot – Black, brown, cognac or burgundy leather. Fully Leather lined. All sole options available, Vibram styles or leather. Hunt Tops available in various colours. Spur rests available. Priced from $850 Cdn.